Renovating 820 sq ft in just 3 weeks has been quite a ride! There are little things left that will be wrapped up in the next day or two and I have a few more days of settling in and the space feels great. It feels like home. 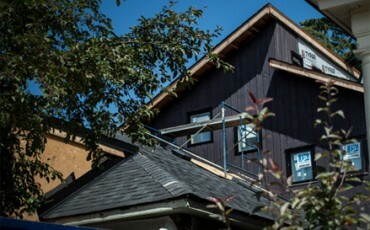 This may be one of the most sustainable projects I have ever done, not cause I used low voc finishes and gave whatever I could to Habitat for Humanity which I happened to and is pretty much my company’s default.It’s sustainable because of the efficiency of it’s realization, it was like an improv ballet on water. It embodied the elusive element of greenspeed. It flowed and when mistakes were made as Markle said, ‘it’s not my first one,” we just went with it and found elegant solutions. There was no time wasted, or rather just the right amount to be effective, it can waste a lot of time not to mention resources to try not to waste time. It’s how we get in our own way in my humble opinion and cause we wasted the right kind of time it made everything we touched exponentially productive somehow. I don’t really understand the physics of it beyond knowing that x=s grace. And I suspect it’s because I broke the rules, not in spite of, like by doing the electrical after we started the plastering, that it all came together. My electrician was saying how he didn’t like to work this way until I told him what a great job he was doing and how I knew we had to double back but it meant we could steam forward and even Jimmy had to admit the way I work is more fun. He thought I was nuts when I said I was moving in in two weeks but I did and to his credit he told me so, and yes it went straight to my head as any of you who have been following my blog would guess. There are no ABC’s in nature, it’s organic and I suspect there is a little bit of anarchy going on, but wouldn’t presume I am too awe struck. I am certain that it’s anything but linear, and I know for pretty sure that a tree can’t count to three. This is what my training has been about for the last 25 years and it’s all distilled into just one word, happening. I love chaos it’s so full of combustion and energy and creativity and passion and I am slowly learning how to stay out of it’s way and also dive in, three weeks, we did this very extensive renovation in. Just 3 weeks. The getting there was very fun and here is a list of some of what we have done. … Having a wonderful time, wish you were here!